In 2016, The Geffrye Museum will launch its new blended learning digital iPad sessions for Key Stage 2 and 3. Focusing on the Tudor and Victorian collections at the museum, these experiences will see pupils using tablets to investigate authentic handling objects and to discover the stories of past inhabitants of the Geffrye period rooms. 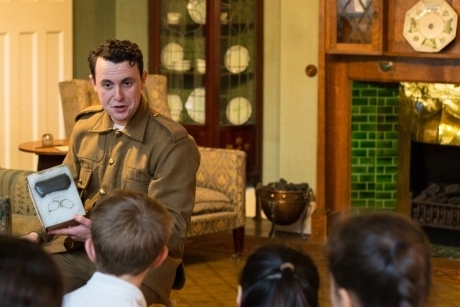 The museum will also commemorate World War One in 2016 with its new Writing Home workshop. Adaptable for Key Stage 2 and 3 groups, it looks at the real life story and letters home of Private Arthur Webb who joined the machine corps in 1914 and was killed just ten days before the end of the war aged 20. Pupils will have the opportunity to create their own letters home and consider what they would take with them if they were sent to the front line. The session can be adapted to cross-curricular studies of World War One and has a particular focus on literacy. Located in London, the Geffrye explores the historical and cultural influences that have affected middle-class homes and gardens for the past 400 years. Educational opportunities are available at the venue for Primary, Secondary and HE, as well as for SEN pupils. A range of resources are available on the museum’s website to be used before and after a visit. For more information call 020-7739 9893 or visit www.geffrye-museum.org.uk/learning.